A record setting 9 time WWE intercontinental champion, the first ever undisputed WWE heavyweight champion, 3 time world heavyweight champion, author of two autobiographies, lead vocalist for the heavy metal band Fozzy, radio show host, and a 22 year professional wrestling veteran who has entertained millions of fans across the globe. That is just some of Chris Jericho's many accolades, many of which he doesn't accomplish in A Lion's Tale, this is his story along the long and winding road to what he considered growing up, the promise land. Canadian born Chris Jericho is well know as one of the most charismatic performers in recent memory, as you would imagine this transcends through his words for the entire read. Jericho naturally starts by telling the reader of a life growing up as the son of a famous National Hockey League player, Ted Irvine, and the reason he has such a passion to lead him to pursue a dream of being apart of what appears to be the glamorous scene of professional wrestling. Recounting applying for the training undertook, where he would meet Lance Storm, with members of the famous Hart wrestling family, only to find out things aren't quite what they seem. The story really begins to accelerate when Chris leaves Canada and America to go to Mexico where he would start to meet up rising talent such as Rey Mysterio Jr. and Eddie Guerrero, the humor in the events that occur really excels from this point forward also. Jericho subsequently takes us from CMLL, Mexico over the oceans to Germany, back to America to fly you all the way to Wrestling Association 'R' [formerly, Wrestling and Romance] in Japan, before finally settling in America with a little company rocking the world of professional wrestling called Extreme Championship Wrestling. Bluntly discussing his relationship with Paul Heyman with an apparent openness, Jericho would then venture to one of the two big companies in Northern America, World Championship Wrestling. The chapter on his stay in Atlanta is the longest and possibly the most interesting as it covers arguably the most exciting time in wrestling history over the period known as the Monday Night Wars. Chris holds nothing back when discussing his tenure with WCW or what he thinks of certain superstars, leaving it all on the table. There are countless stories included in all these chapters letting the reader into the life of Chris Jericho behind the scenes with his colleagues and friends. Finally finishing off after the negotiations are complete with the World Wrestling Federation in Stamford Connecticut and the clock hits zero on Monday Night Raw ready for the debut of the Ayatollah of Rock 'N' Rollah. A Lion's Tale: Around the World in Spandex is a crescendo of a read, starting off slowly building the readers interest as you read each page, until the ultimate climax and the achievement of a life time and it ends on the ultimate cliff-hanger leaving you almost gasping for the second volume. 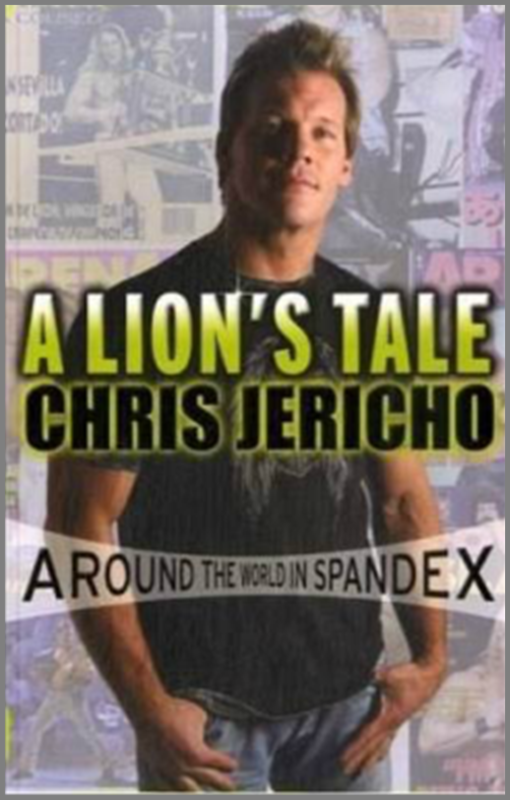 The Chris Jericho charm secretly draws you further into the story subconsciously without you even realizing it, a witty but slightly long read, however it is worth persevering past the slow start to reach the action packed, entertainment rich bulk of the autobiography. Review of A Lion's Tale: Around the World In Spandex. A Lion's Tale: Around the World In Spandex. Published as Hardback: October 25, 2007.